The labs have the capacity to test and certify the network elements as per the national and international standards. 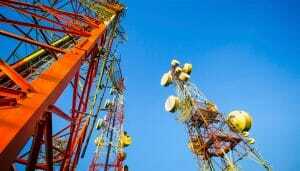 ITI,telecom manufacturing company of government has recently set up two new equipment testing labs in Bengaluru. The process to enable telcos and their vendors get their network equipment certified, department of telecom (DoT) aims to establish as many as 100 telecom gear testing centres across the nation. It has collaborated with department’s National Digital Communications Policy, making mandatory testing, validation and security certification of various network elements of telecom network to protect, secure and make it less vulnerable from internal and external threats. ITI Limited chairman K Alagesan has commented that in support of DoT,it will witness a new era of telecom equipment testing and supplement make in India program of Government of India.Added that ITI is constantly improving the infrastructure and coming out with a robust mechanism to strengthen telecommunication technology development in India. Anuradha Mitra, member-finance at DoT stated that that these labs will not only strengthen the telecom testing ecosystem in the country but also serve in enhancing the user experience through better quality services. As per the ITI source,the labs have the capacity to test and certify the network elements as per the national and international standards.